It is easy to love a person, but hard to love an ego. 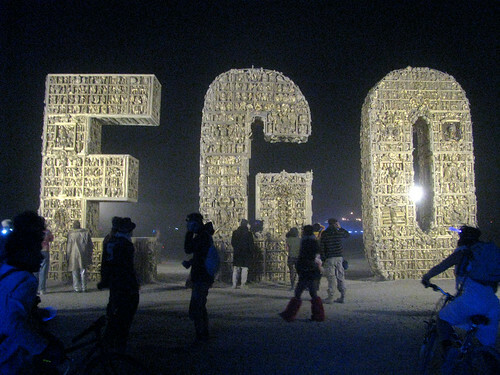 Ego is the enemy of love. The ego is prideful and makes demands. 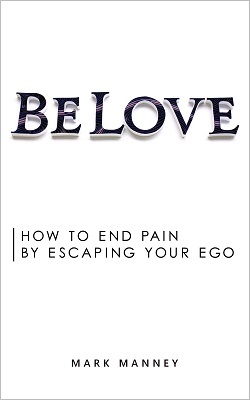 To love someone with your ego means to expect your partner to serve that ego. It is to care less about who your partner truly is or what she feels and to care more about what she is or isn't doing to meet your expectations. You will demand, threaten, you will manipulate, you will do anything at all to get what you think you need from your partner. Unfortunately, your partner will never fully satisfy you because the ego is always greedy for more. You believe that you are great, that you are worth it, and you deserve exactly what you imagine you deserve from your partner. It is selfish and ugly. To be in-love with an ego-driven partner is to slowly come to the understanding that it is only your good behavior that is loved (not you). You come to discover that you don't matter; rather, what matters is the role that you play. It doesn't matter to your ego-driven partner what you feel, what you think, or who you are. If you do or express something that threatens or fails to serve your partner's ego, you are swiftly met with disapproval or anger. What matters to your ego-driven partner is only what you do to serve that ego. To dedicate yourself to an ego-driven partner is to feel constantly frustrated, afraid, misunderstood, unloved and lonely. Still, even if you express these feelings, the ego-driven partner is unwilling to change. The ego doesn't listen. It doesn't learn. The ego justifies everything. It threatens, manipulates, and resorts to hostility and violence. When out of control, the ego is willing to destroy anything to get what it thinks it needs. As a result, to love an ego-driven partner is bad for your well-being. You begin to believe that you are not worthy of love unless you meet your partner's expectations. You feel as though something is wrong with you. You find yourself hiding your true self, lying, or even cheating when the despair becomes too much. To love without ego is to love your partner unconditionally and to completely accept who she is. It is to understand that her feelings are not a threat to you. The things she likes, the things she does for herself, the decisions she makes about the relationship, none of it is against you because it isn't about you. It is about her. Don't take it personally. To love without ego is to fully experience the bliss that true love brings. It is to know and understand a person deeply, to have complete trust because there is no reason to lie. It is to know another person as well as you know yourself (neither of which are possible with ego). It is to feel the lightness of freedom even as you are committed. May you discover the joy and bliss of loving without ego. This is a response to this video by Kyle Cease.